So, you want to garden, but are unsure of what to plant first. The first thing to sprout in my seedling collection is always radishes. They are very hardy, tolerate a bit of we soil, and are beautiful plants if allowed to go to flower and seed. 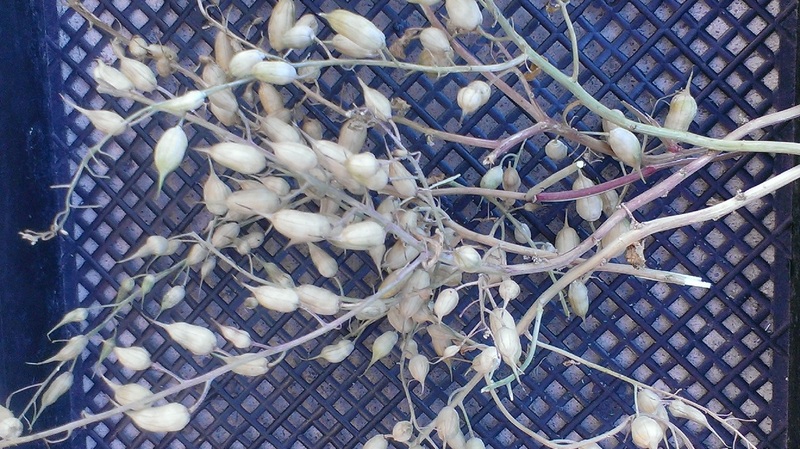 They produce odd seed pods at maturity and lovely, spicy roots when plucked early. Try a batch of these for your first garden. I generally place them where the water faucet is. There are a number of ways you can raise them. I use several methods to sprout seeds. One way is the simplest. Just pop them in the area you want to populate with the certain plant and keep them moist. Squash plants and certain leafy vegetables take to this method easily. Other items require a bit more effort. Corn is always scavenged by birds, sowing it directly in the ground is a hit or miss operation. Sprout these seeds in peat pods or sectioned containers. Get them growing before you set them in the ground. Seeds may be sprouted on moist paper towels. Wet the towel, then place the seed. Set the towel into a plastic bag and check daily for sprouting. Once a root forms, remove from bag and place in a starter pot filled with sprouting material or garden soil. I rarely use this method. I like the starter pot sprouting. I tend to let the seed get imbedded in the towel, which gets a little tricky to remove. If this happens, cut the towel just around the root and plant the whole thing in a container with soil. It will grow around the piece of paper and set roots in the soil.